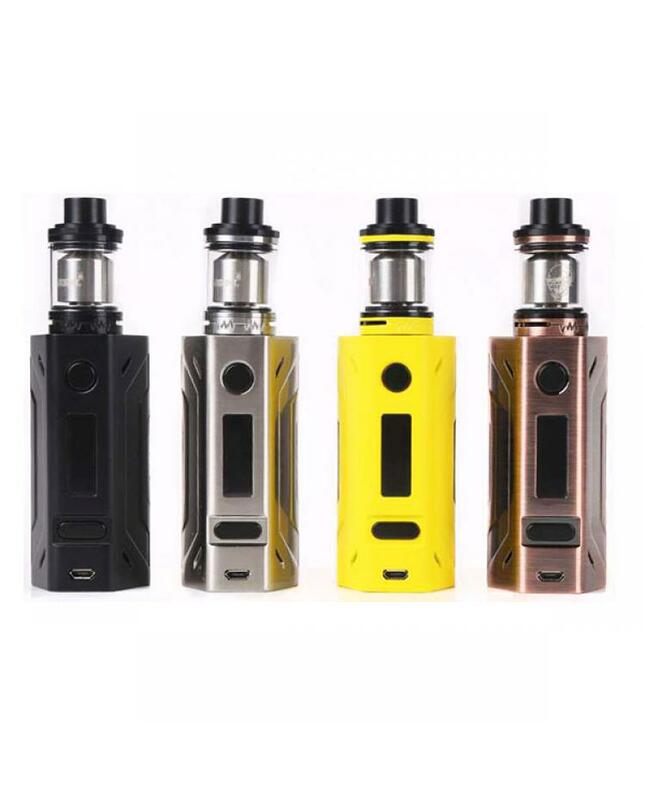 After the Battlestar mod and rdta released, the smoant company released the smoant Battlestar kit, the new vape kit has six fashionable colors available, the new smoant kit includes Battlestar mod and RDTA, max output 200watts, powered by 2pcs 18650 batteries, support VW, bypass, NI, TI, SS and TCR output modes, support resistance as low as 0.05ohm. the Battlestar rdta can hold 4.5ml e juice, comes with 17.5mm big velocity deck, top refill and airflow control system, vapers can build the coils and install by yourself, can easily adjust the airflow to your preference. the bottom e juice glass tank will show you clearly how much e juice left.